The worm can only be killed with spears, but it then blocks the tunnel. Leave it well alone! To enter the cell in the trolls cavern, get arrested by leaving the iron gates open. Search the trolls house thoroughly for the key to the gates. To take the boat, block the door of the house by the lake with the body of a humanoid. 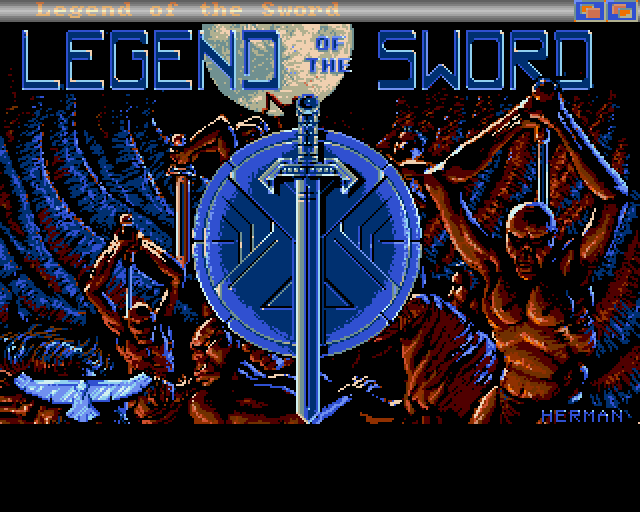 I had completely forgotten about this game until I entered it into the site. I originally obtained the Atari ST version free when i purchased Dungeon Master for the Atari ST so probably wouldn't have played it had it not been the case. Compared to Dungeon Master itself this was quite primative as it is basically a text adventure where you type commands and read the story. But they added some nice additional touches and interactivity to the game that made it more interesting than the standard text adventures of the time. Much like many of the later Level 9 text adventures this adventure includes static images of each location and illustrations of key events and actions within the game. This always adds a lot to a text adventure and helps better realise the game world. In addition to this there were many other nice touches and additions that other text adventures didn't contain. To begin it had an interactive map that filled itself in and plotted your journey as you progressed. You could also click locations on the map to quickly travel. 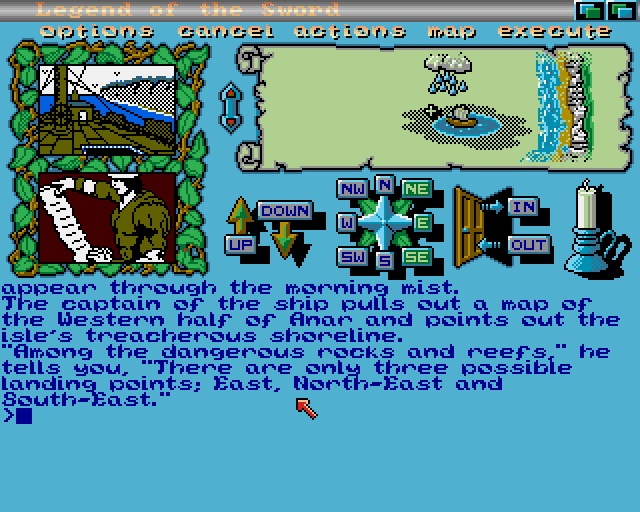 The auto map feature was something sorely missed in many other adventure and RPGs of the time (including Dungeon Master), with players having to resort to graph page to manually map the levels as they went. 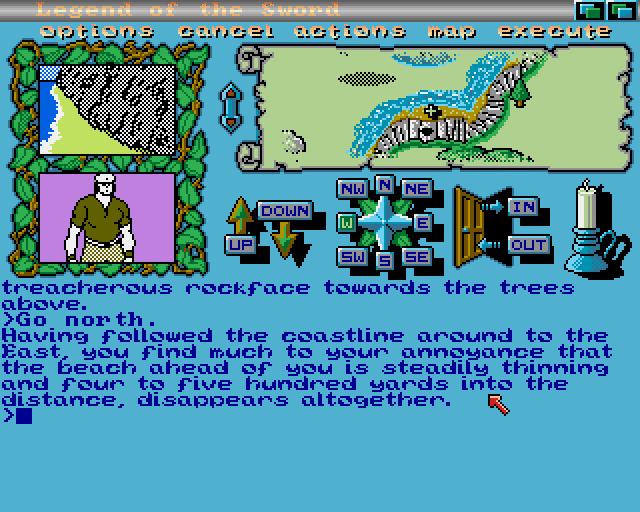 As well as the interactive map the game screen also included many other interactive elements. A compass that highlighted the directions you could travel so you didn't have to keep typing "go North", and instead just clicking the direction on the map to travel. And also Up/Down and In/Out indications with the image of a door so you could quickly tell the game to go through a door or up or down a ladder. These interactive elements really helped to speed up the gameplay and made the whole experience much nicer. If you like text adventures then you will really like this game.